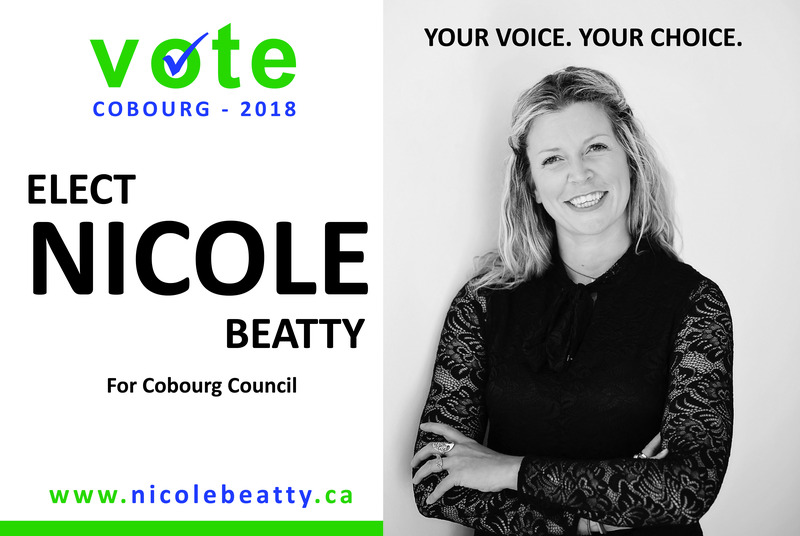 Nicole will bring a fresh, next-gen, accomplished, strong and collaborative voice to Cobourg Council. Her vision for Cobourg is a community where everyone is welcome, where housing is affordable for all, where culture and heritage thrives, where the local economy and environment is strong and sustainable, and where youth, newcomers, families and seniors have access to meaningful opportunities, services and experiences. Nicole’s campaign focuses on five core principles: social policy, economic development, culture and tourism, environmental sustainability and youth engagement. Each one is defined in detail below, outlining what Nicole believes is important for the preservation and progression of Cobourg – the place she and residents love to call home. Vote for Nicole Beatty campaign sign or pamphlet available for download. Click, print and share!